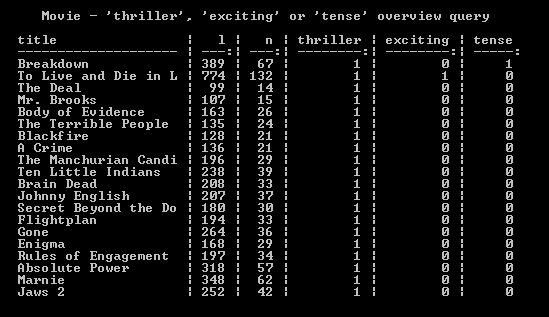 Search queries can be focused by weighting free-text queries and structuring queries so as to provide convergence on certain fields and/or terms. 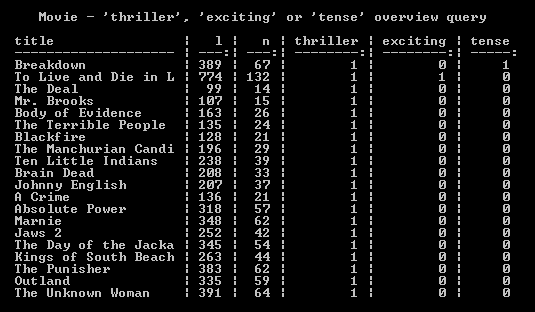 FreeText queries can be weighted in order to provide focus on certain terms. This is achieved by modifying the relevance of each search result by the provided weighting - the higher the relevance of any given result, the higher it will appear in the list. 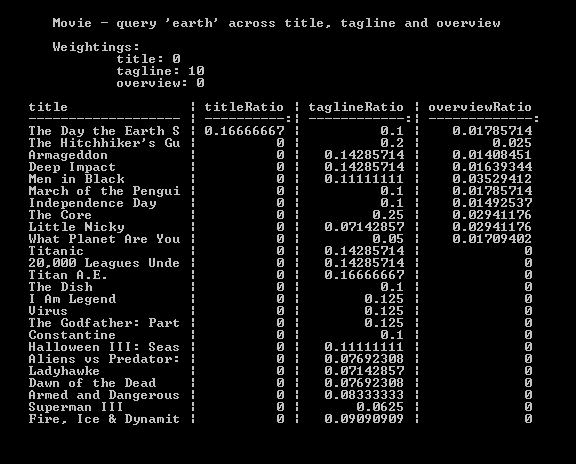 Weighting can be used to provide more relevance to certain fields for your results - for example, if searching across movies, you may feel any results in the ‘title’ field are more relevant than the ‘tagline’ or ‘overview’ fields. 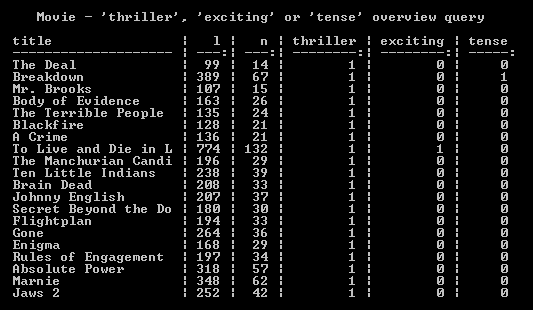 This is easily achieved by simply weighting the relevant free-text operator in the query, as will be shown below. A more subtle use of weighting can be applied to give more relevance to certain terms within a specific field. 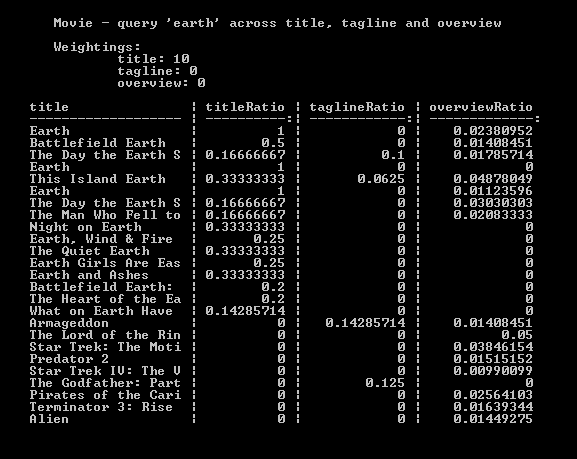 Weighting can be achieved through the use of the .Weight() operator, or through the use of query structure. Examples of both are outlined below. 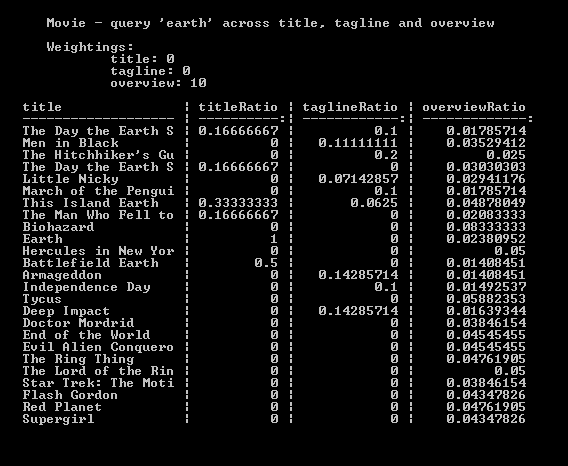 Weighting can be used to provide more relevance to specific fields with a query. However, what can also be seen is the fact that ‘title’ fields with higher ratios of the term do not guarantee higher relevance. This is due to the cumulative effect of scoring across terms and operators, meaning the total relevance of the result can also be affected by the relevance of the other fields which have been searched across. As can be seen, weighting can help in providing relevance to your results, but is not a guarantee of specific ordering. 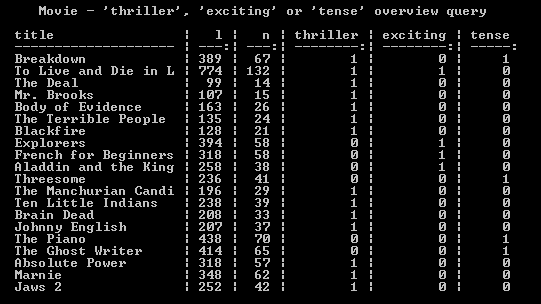 Weighting can be used to provide focus on terms in free-text searches. 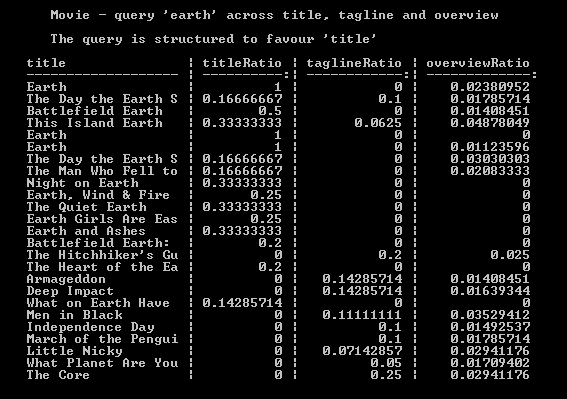 As well as weighting, query structure can be used to provide focus in searches. 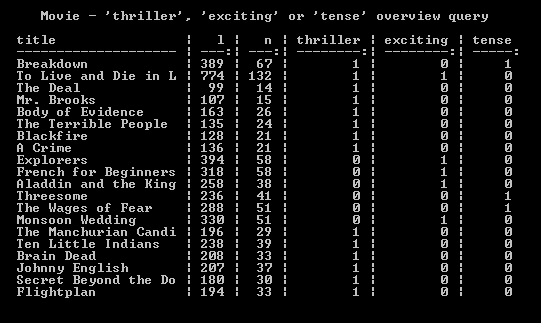 Continuing with the example in weighting free-text searches, we will show how query structure can be used to obtain the same results. However, this does not produce the same results as those of the weighted example. Entries either can, or cannot, satisfy these query specifications. Therefore, weighting will not affect the ordering of these results as the relevance of each will be identical.